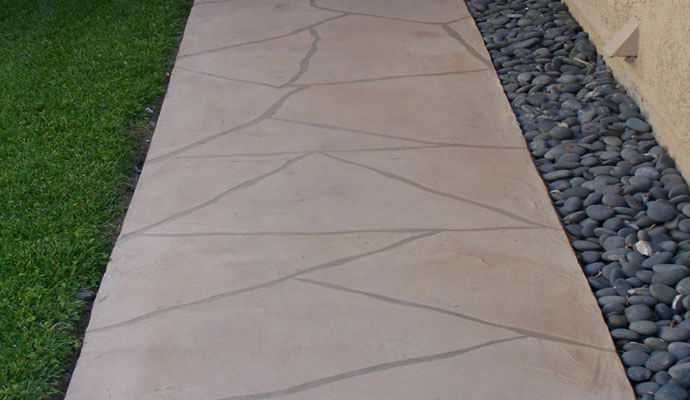 Decorative finishes, waterproofing systems, coatings & concrete staining. Unlimited design possibilities: available in a limitless selection of colors, patterns, and textures. Available in the latest faux stone, tile & stamped concrete designs. Formulated to be slip resistant and heat resistant. Class A rated for fire safety. Designed to be low maintenance - mold, mildew, and stain resistant. Tuff Kote Systems offers Orange County and the greater Los Angeles region premium quality decorative finishing for decks, balconies, stairways, and walkways. Our company was established in 1986, and we have been installing our competitively priced decorative finish systems for residential and commercial clients for years. Our decorative finishes are the perfect solution for revitalizing weathered, worn, or damaged decks, balconies, stairways, and walkways, and because they are formulated to be stronger than conventional concrete, will actually help to strengthen the structural integrity of these architectural features. At Tuff Kote Systems, we are committed to providing excellent customer service, and work closely with our clients to design the ideal decorative finishes to complement the look of their residential or commercial properties. Our top brand name decorative finishes are available in a limitless selection of colors, patterns, and textures, and are low maintenance due to their mold, mildew, and stain resistance. We offer smooth, textured, and patterned finish designs, including knockdown, orange peel, cobblestone, slate, flagstone, brick, Spanish paver, tile, granite, and marble look finishes. Our decorative finishes are extremely durable and also safe: They are Class A rated for fire safety, and are also slip resistant. In addition, they are also heat resistant, and will remain comfortable to the touch when exposed to direct sunlight on hot, sunny days. Contact the decorative finishing specialists at Tuff Kote Systems today, for premium quality decorative finish systems at competitive prices. 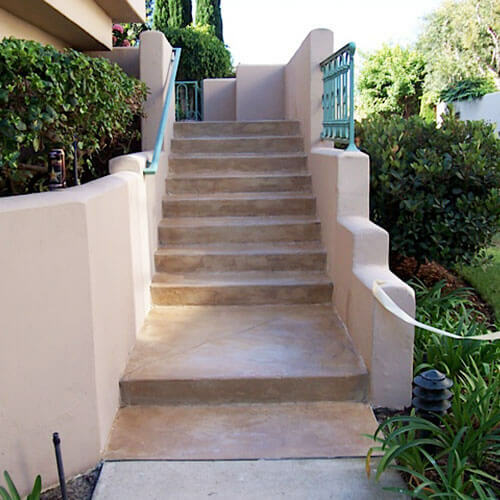 We provide our durable, beautiful decorative finishes for residential and commercial decks, balconies, stairways, and walkways throughout Orange County and the greater Los Angeles area, and offer our work with excellent warranties. We accept Visa, Mastercard, American Express, and checks, and provide onsite estimates throughout our service area. Tuff Kote Systems is licensed, bonded, and insured.